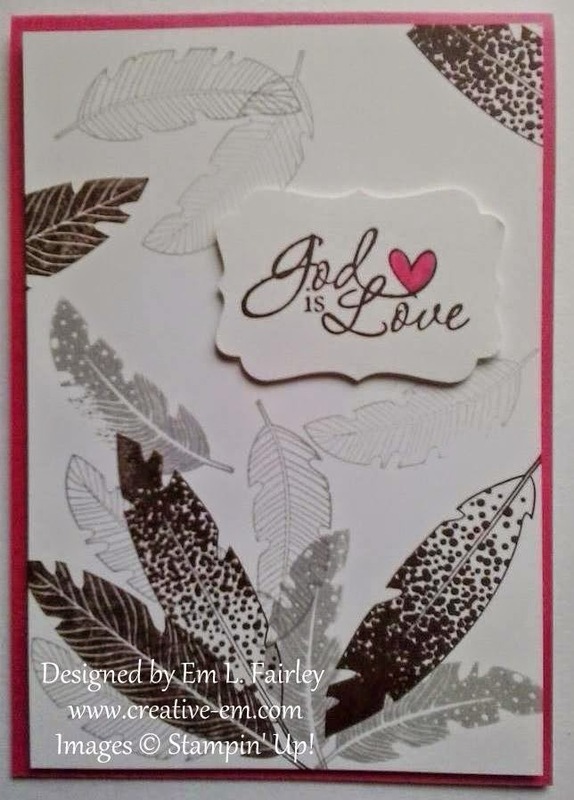 I LOVE feathers and I'm loving all the different creative possibilities with the delightful Four Feathers stamp set from Stampin' Up! 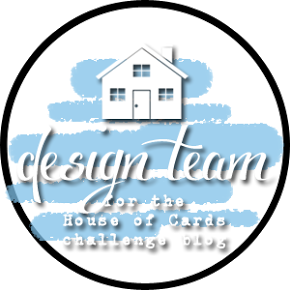 If you've missed the designs I've shared with you so far this week, you can see them here, here and here. 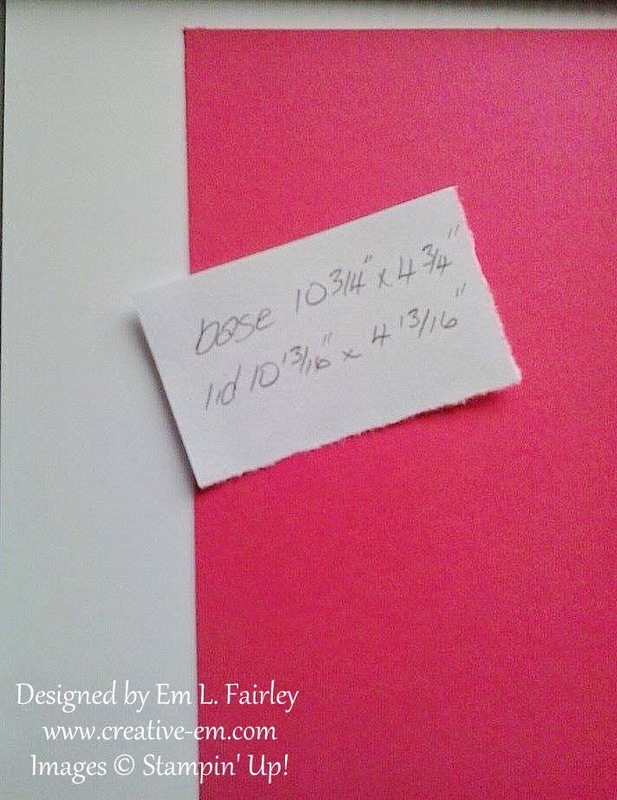 Cut a panel of Whisper White card slightly smaller than the Crumb Cake folded card base (I cut mine ¼" smaller) and emboss with the Woodgrain EF. Attach to base with Sticky Strip. 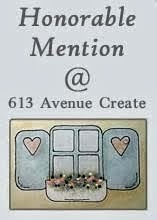 Stamp the feather from Four Feathers twice in Crumb Cake ink onto the top right corner of a Whisper White panel. 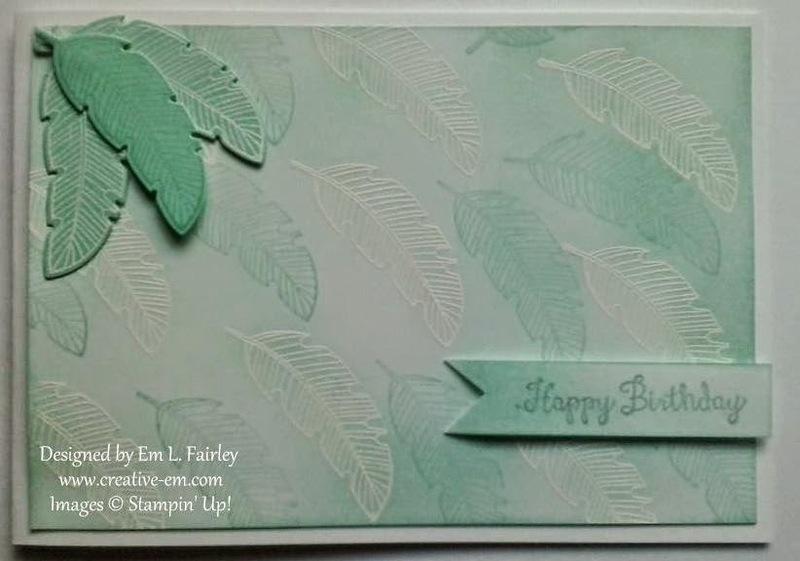 Stamp a third feather onto a scrap of white and cut with the Framelit die. Stamp the sentiment from Wetlands in Crumb Cake ink onto the lower left corner of the panel. 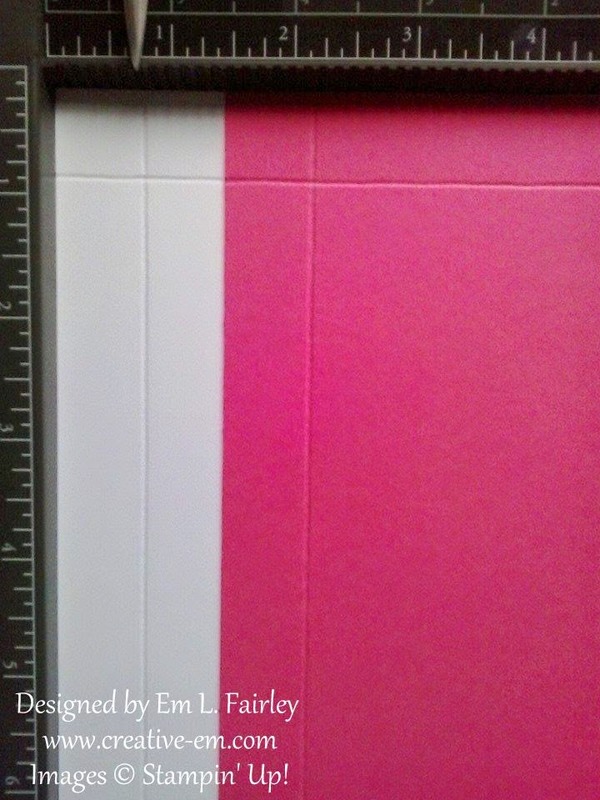 Attach panel to a Crumb Cake panel cut slightly larger (mine is ¼" bigger), with more Sticky Strip and add to the card with more tape. 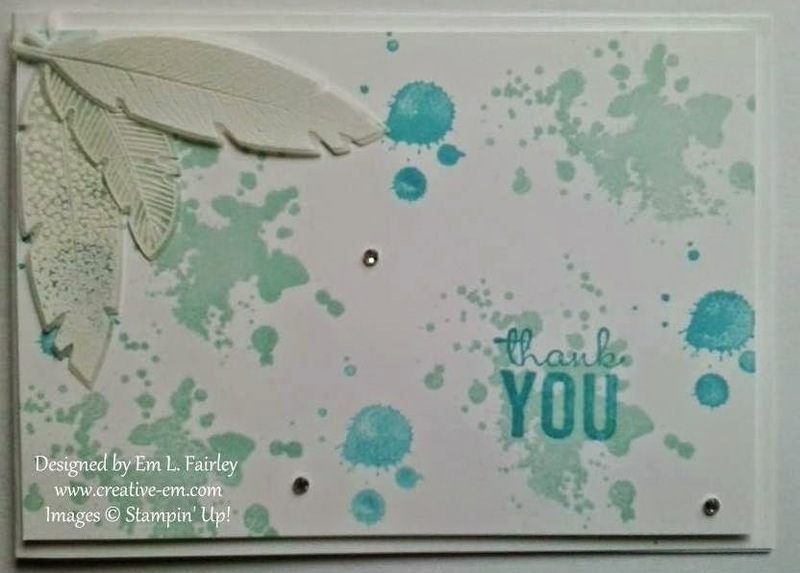 Attach the third feather with a couple Stampin' Dimensionals. 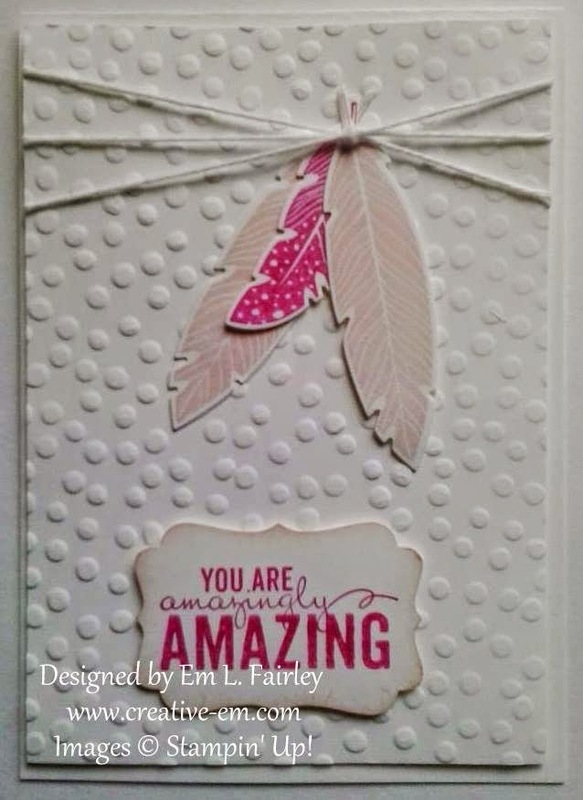 I'm not only loving creating with the delicate Four Feather's stamp set from Stampin' Up!, but I'm loving sharing them with you this week. 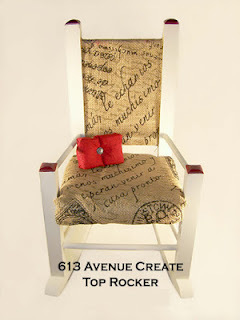 If you've missed, or would like to revisit the previous creations, you can see them here and here. Stamp the feathers from Four Feathers randomly in Smoky Slate and Early Espresso ink onto the Whisper White panel. 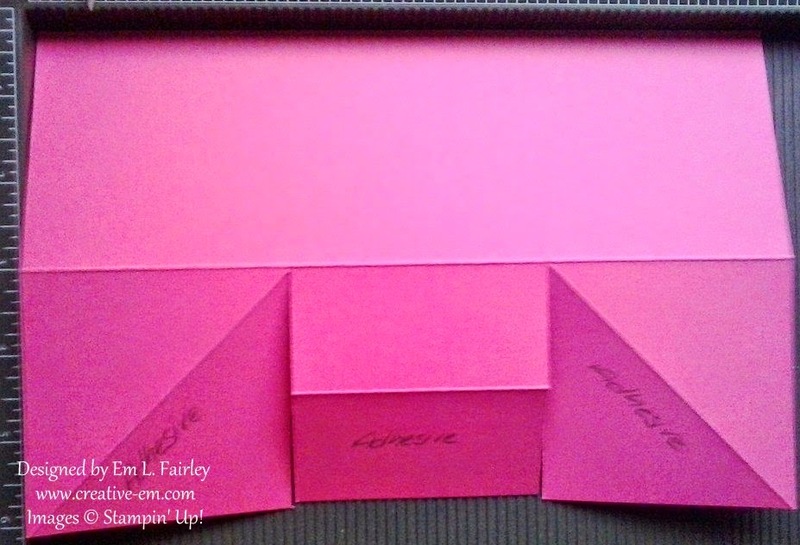 Pop panel up onto folded Strawberry Slush base card with Stampin' Dimensionals. That's it. 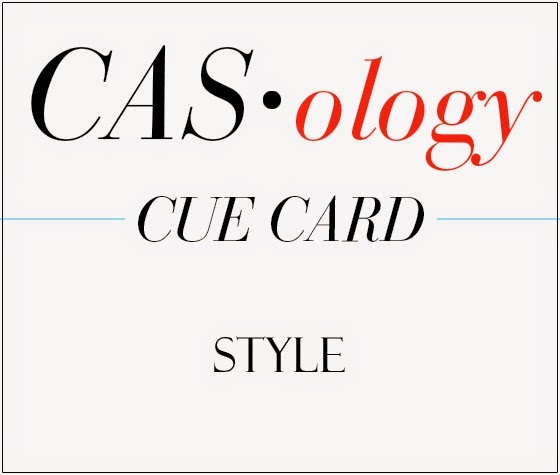 Quick and easy CAS. 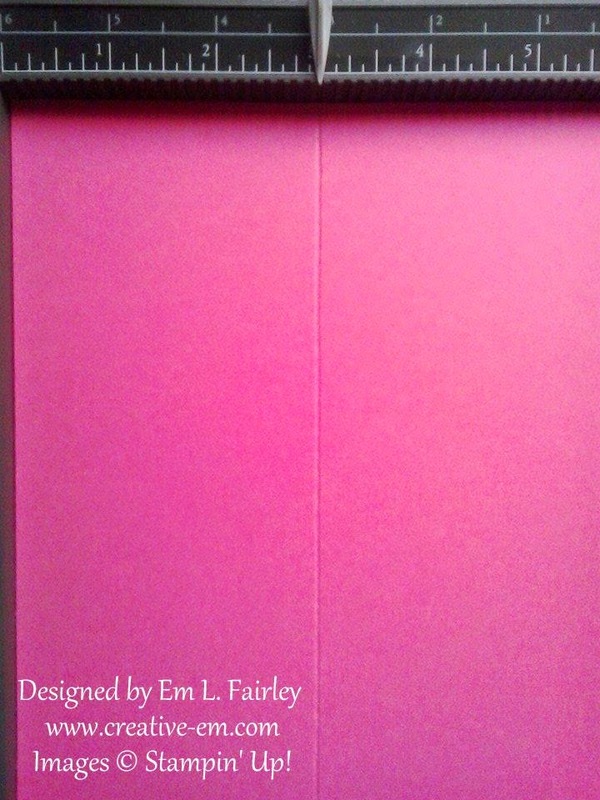 It could also be used for a wedding card using the couple's color scheme. 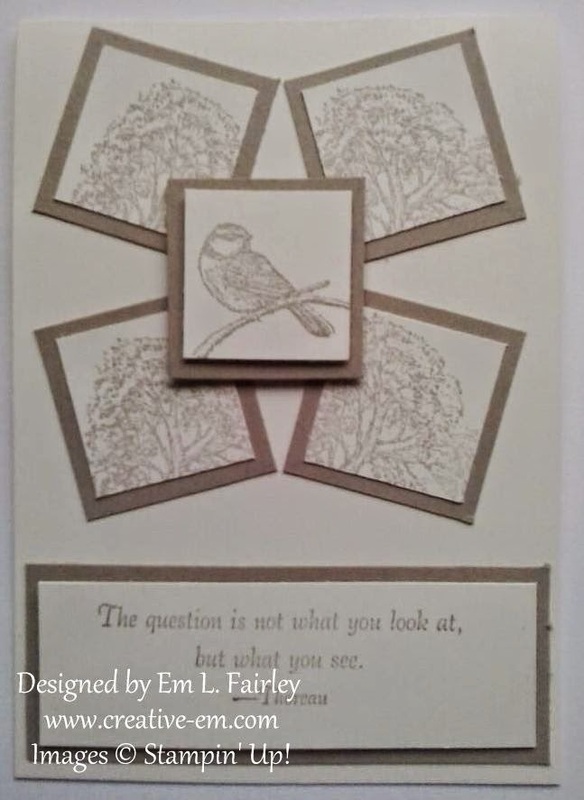 The delicate Four Feathers stamp set from Stampin' Up! that was in last year's holiday catalog was brought back in the current Occasions catalog. I got mine last year, but because it arrived so close to Christmas and I then got other new goodies from the new catalog, I'm only now getting to play with it. About time! Stamp the feather from Four Feathers in Versamark ink randomly over the Whisper White panel and twice onto the Coastal Cabana scrap. 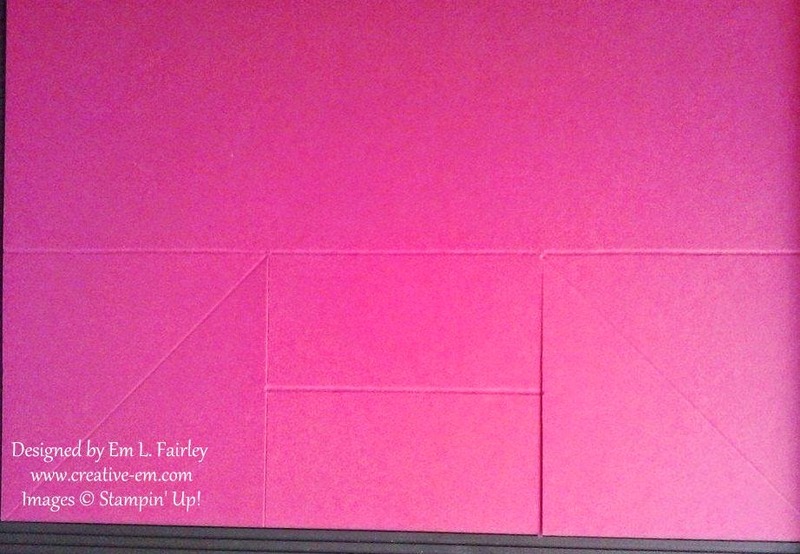 Cover with White EP and heat emboss. 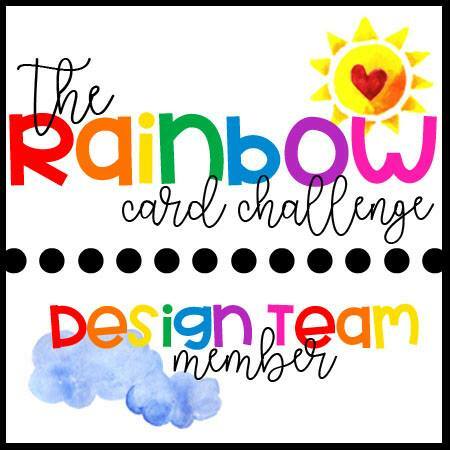 Stamp the feather in Pool Party on Coastal Cabana card and die cut those 3 with the Feathers Framelits. Sponge Pool Party ink over the embossed panel and also over the small Whisper White scrap. Stamp the feather in Pool Party ink onto the panel. 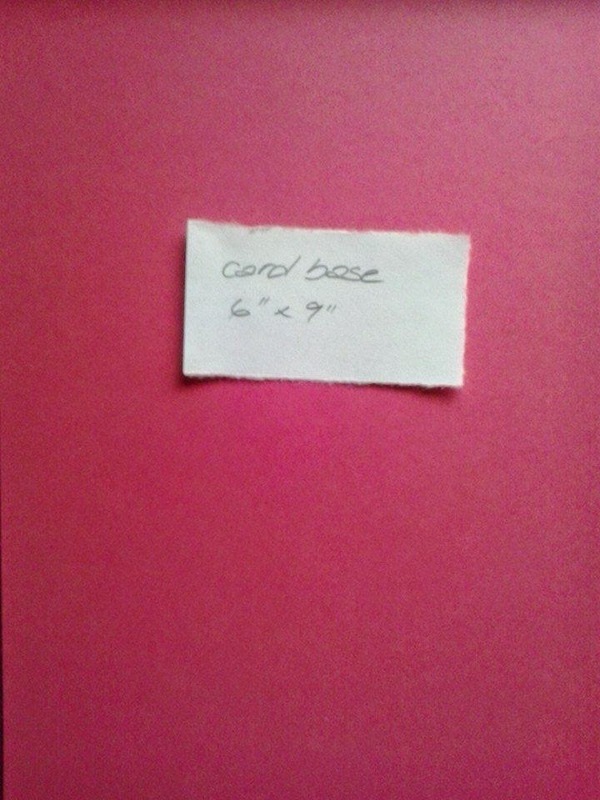 Attach to folded Whisper White base card. Stamp the sentiment from the Bloom with Hope hostess stamp set in Pool Party ink onto the scrap and snip into a banner. 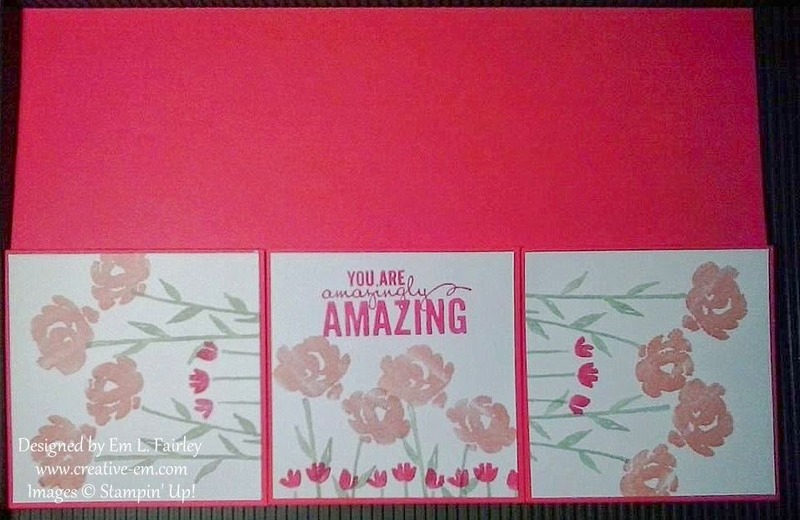 Pop onto the card with Stampin' Dimensionals. 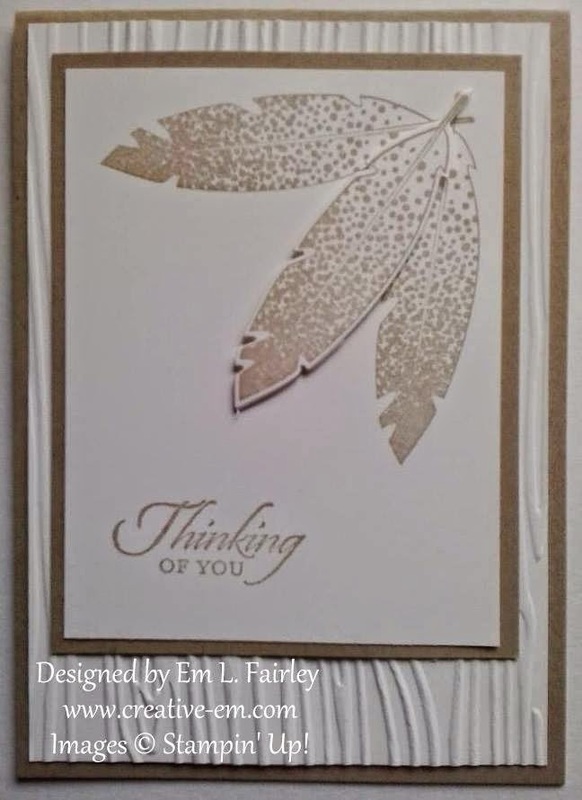 Attach the die cut feathers to the card with Mini Glue Dots. 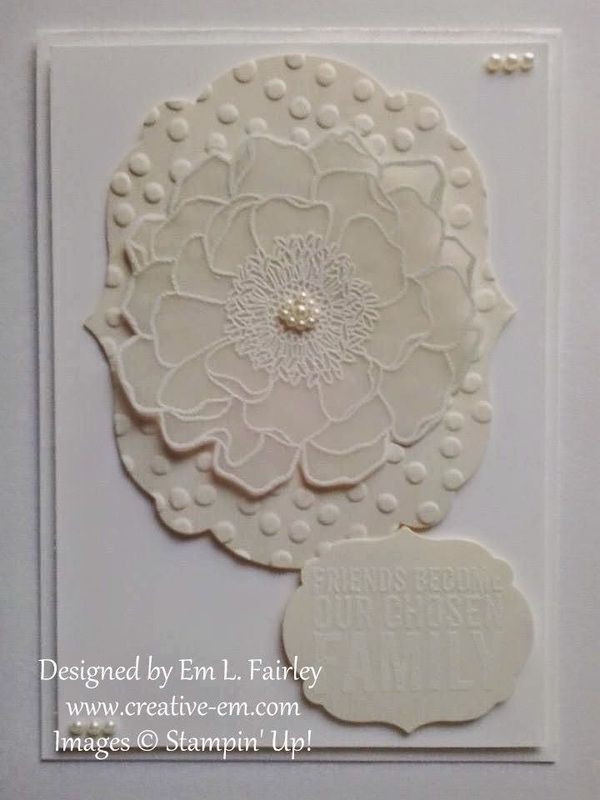 Labels: Bloom with hope, emboss resist, Four Feathers, Occasions Catalog, Stampin' Up! Stamp the image in Jet Black StazOn onto Watercolor paper. Paint using the Aqua Painters, varying the amount of water to alter the intensity of the color (both the water and sky have been painted in Tempting Turquoise and the leaves and foreground with Pear Pizzazz). 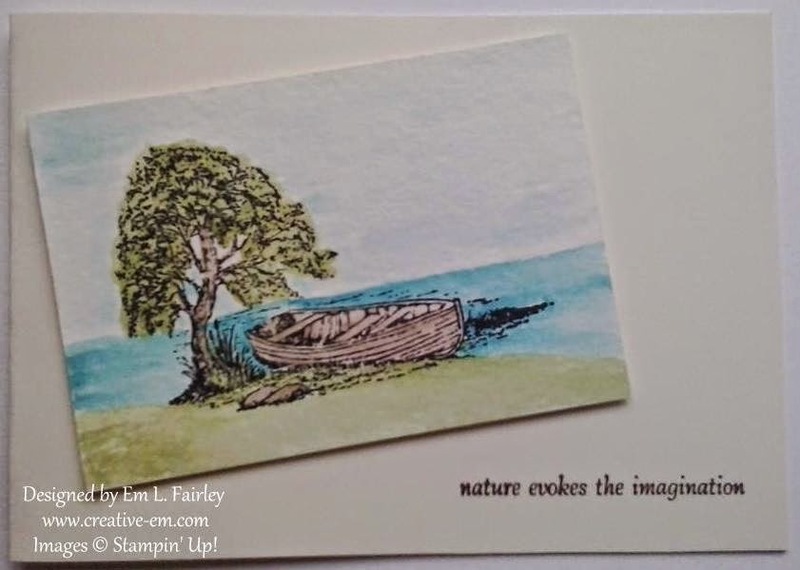 While the image is drying, stamp the sentiment in Early Espresso ink onto the lower right corner of the folded Very Vanilla card. 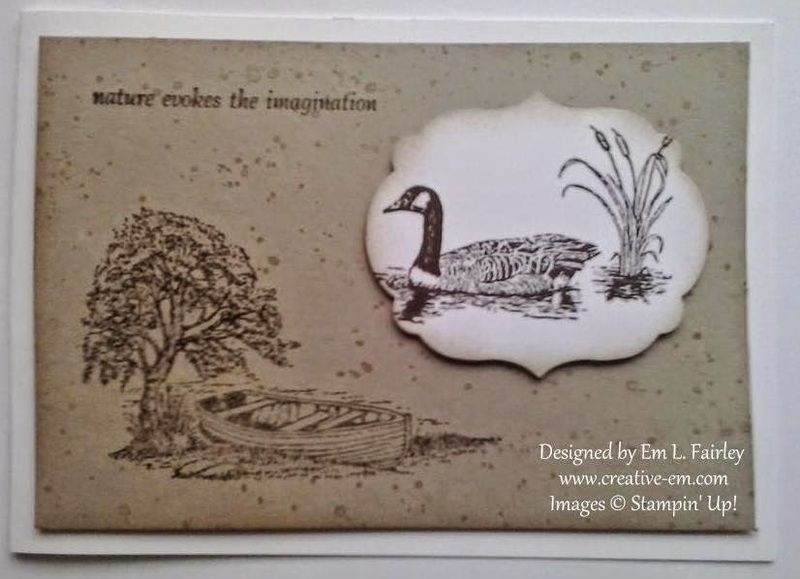 Stamp the image with Jet Black StazOn onto Watercolor Paper and die cut with one of the Labels Collection Framelits dies. 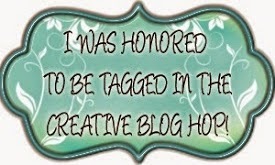 Today I'm taking part in the Creative Blog Hop, having been nominated to do so by another SU Demonstrator, Wendy. Stamp the sweep from Work of Art in Crumb Cake, Pool Party and Soft Sky, stamping off beforehand. 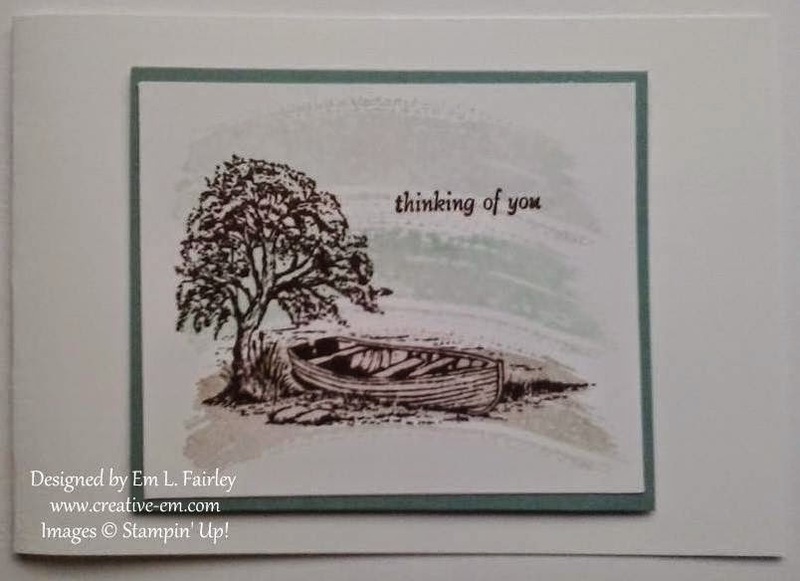 Stamp the tree and boat image and the sentiment in Early Espresso over the background. 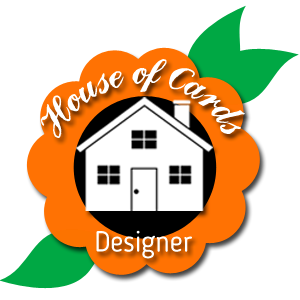 With Easter fast approaching, cards and gifts for that w ill be my main focus this week, once I've completed the cards that will feature on the blog. 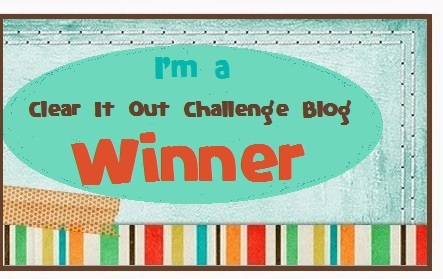 I'm also planning ahead for what will feature, both on the blog and in classes. 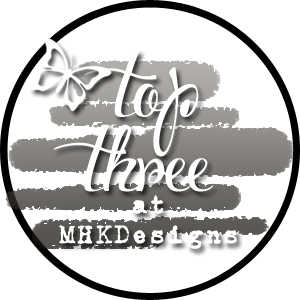 It's tough to say how my work differs, but since the start of this year I've featured a different stamp set each week on my blog, to showcase the range of different designs that are possible. 3. 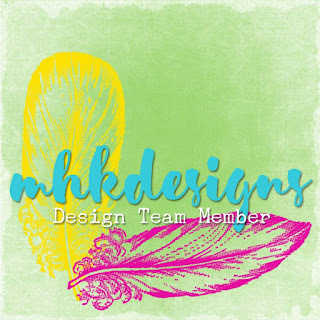 Why do your create what you do? 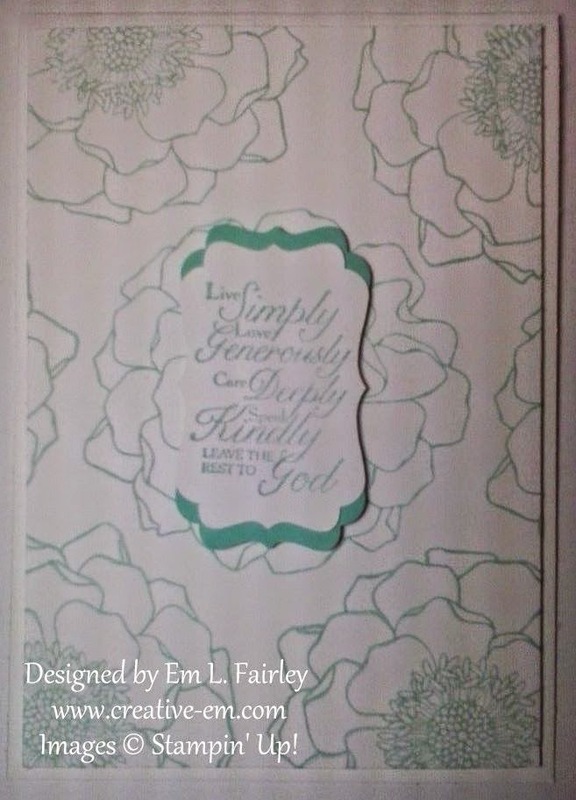 I'm fortunate that I've been able to turn what was a favorite hobby into my full time work, thanks to Stampin' Up! 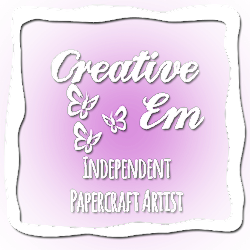 Since I started creating cards years ago I've really enjoyed the creative process. 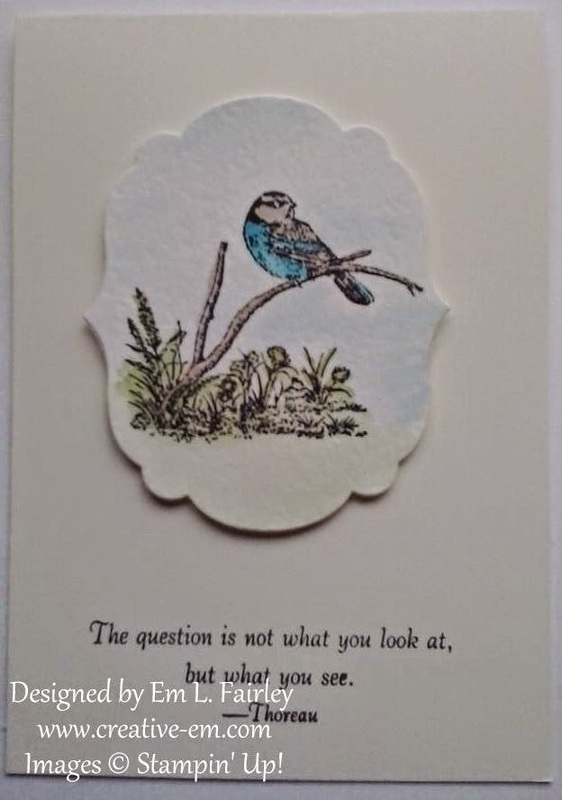 I don't see it as work, my main motivation is seeing the reaction of the recipient of a card I've created, or seeing the enjoyment and often look of wonder on the faces of those I teach. That is what truly makes this less of a job and more of a calling. Almost all the time it's an immediate impulse. 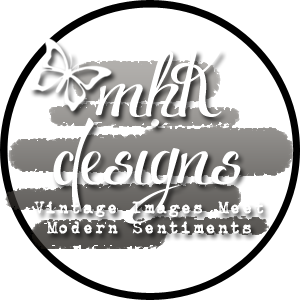 Whether it's talking through the requirements for a commission with a client, or when I first see a new stamp set or item, ideas on how to create something form immediately in my mind. 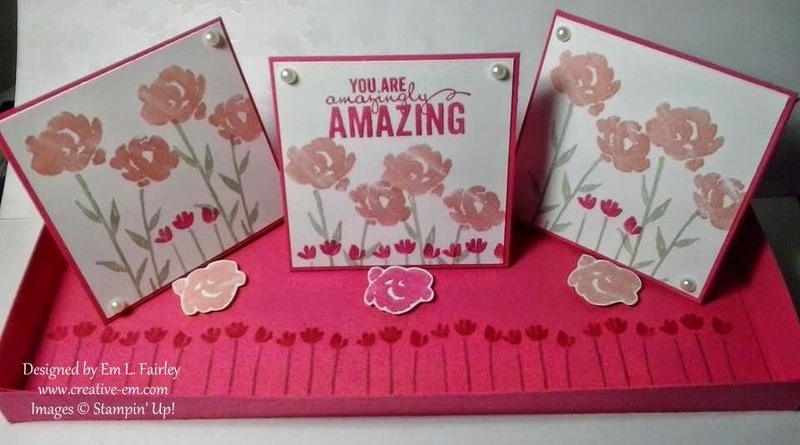 With Stampin' Up, the range of designs possible with each set is almost infinite and I love playing with them to see what I can create. 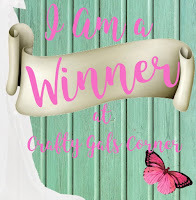 To Continue the Creative Blog Hop next Monday, I'm nominating two fellow SU Demonstrators, my Pinkie sisters, Lizy Bartaby and Caroline Hallett. Both their posts will be live next Monday, March 23. 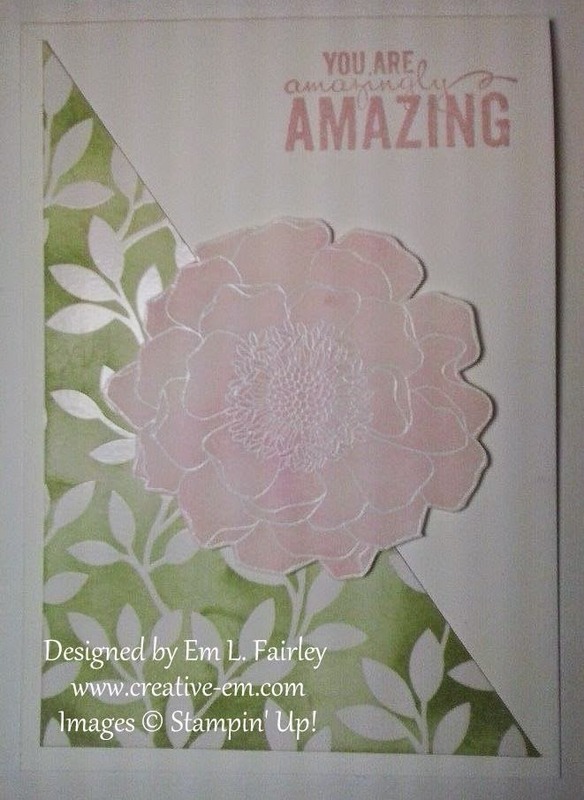 Cut a piece of Coastal Cabana card 1/8" smaller than your Whisper White card base and attach. 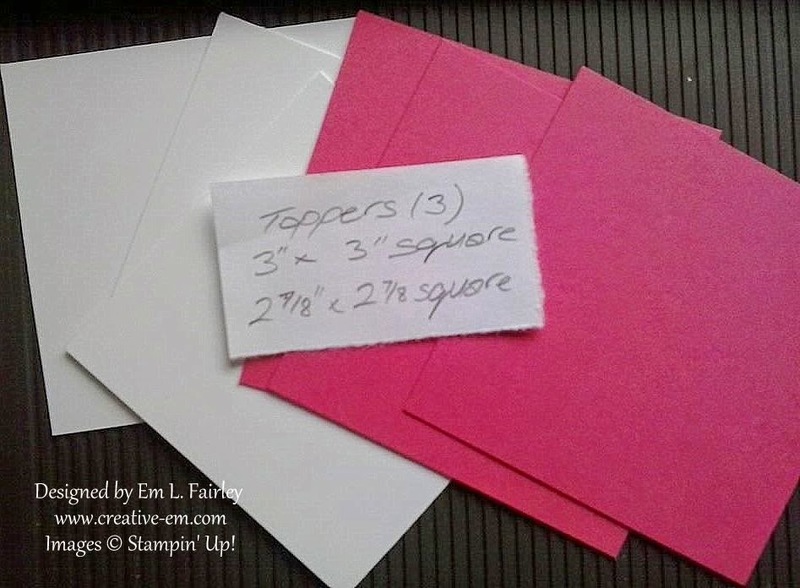 Cut a Whisper White panel ¼" smaller than your card base. Stamp bloom in Early Espresso ink onto opposite corners of the white panel and also onto another piece of Coastal Cabana. 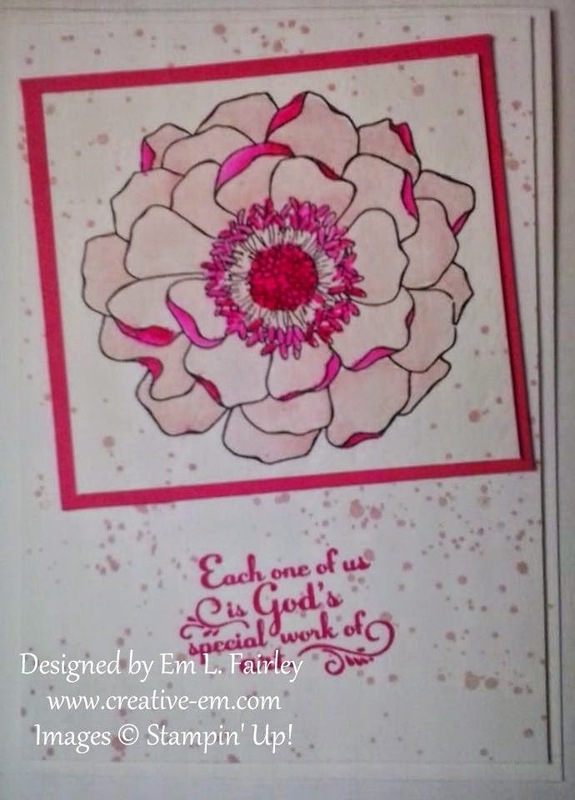 Color some of the stamped images with the Coastal Cabana Stampin' Write marker. 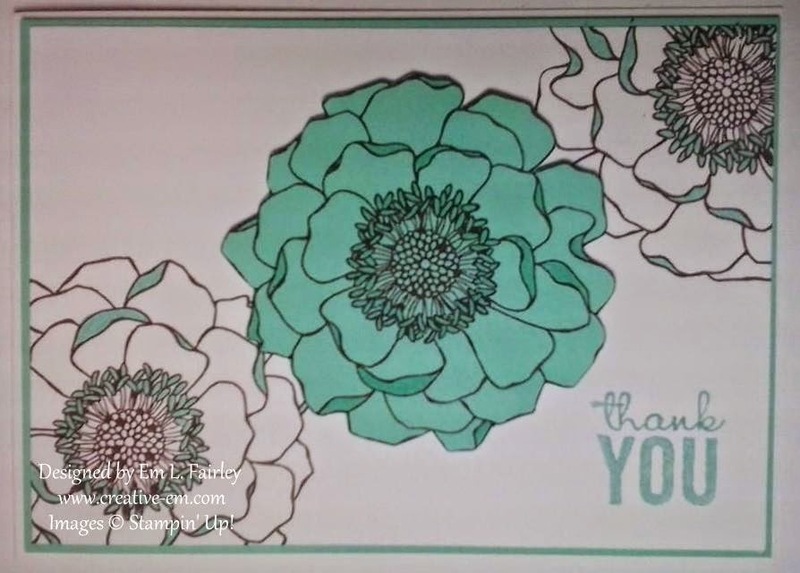 Stamp the sentiment from Painted Petals in Coastal Cabana ink onto the bottom corner of the stamped panel and attach to the card. I love them all, but I think today's is my favorite. Can you choose? Whatever you're doing this weekend, have a great one. 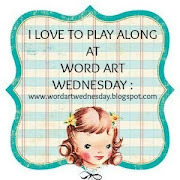 I'll be back on Sunday with a very special pictorial, so I hope you'll join me then. 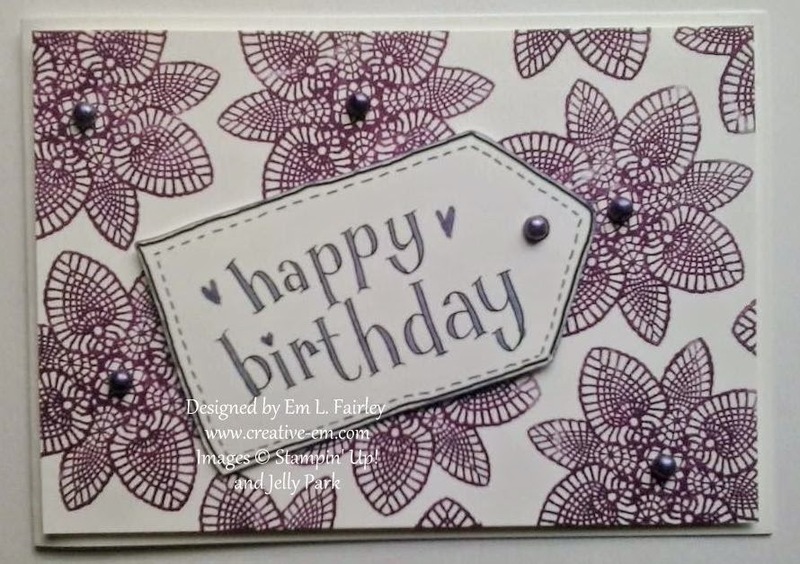 This is the third day of Blended Bloom week here and I'm loving sharing so many different ideas with you, which I've created using the versatile stamp set from Stampin' Up! If you've missed Monday's or Tuesday's, click on the days and they will open in another tab. 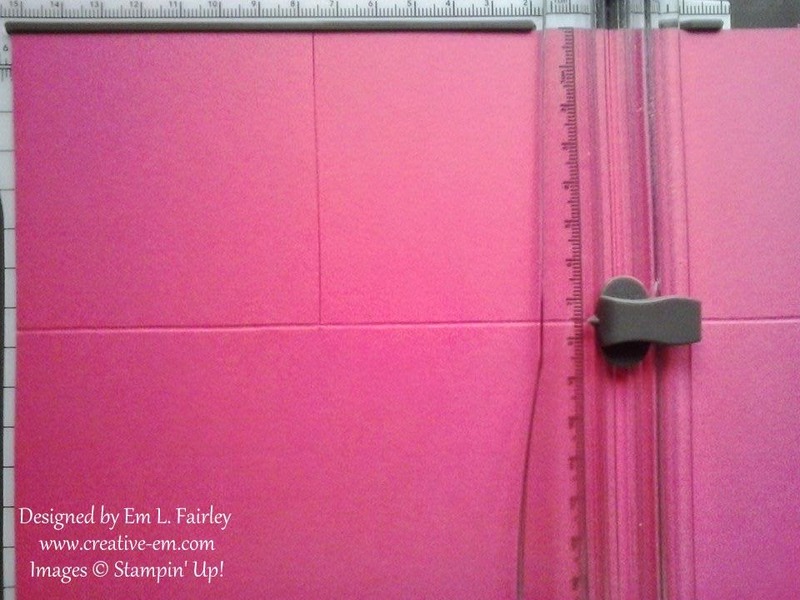 Using Pool Party ink stamp the Blended Bloom image randomly over your Whisper White panel. Using the same ink stamp the sentiment from Trust God onto a snippet of Whisper White. Punch out using the Decorative Label punch and layer onto one from Coastal Cabana that's been cut in half. That's it. SO quick and SO easy. This card took me just minutes to put together.